This entry was posted in Blog and tagged #creative carved polystyrene CRAFTMANSSHIP creations custom interior interior design magical themed spaces on November 23, 2018 by Lucy R.
Creating themed props true to concept is something we passionately do. 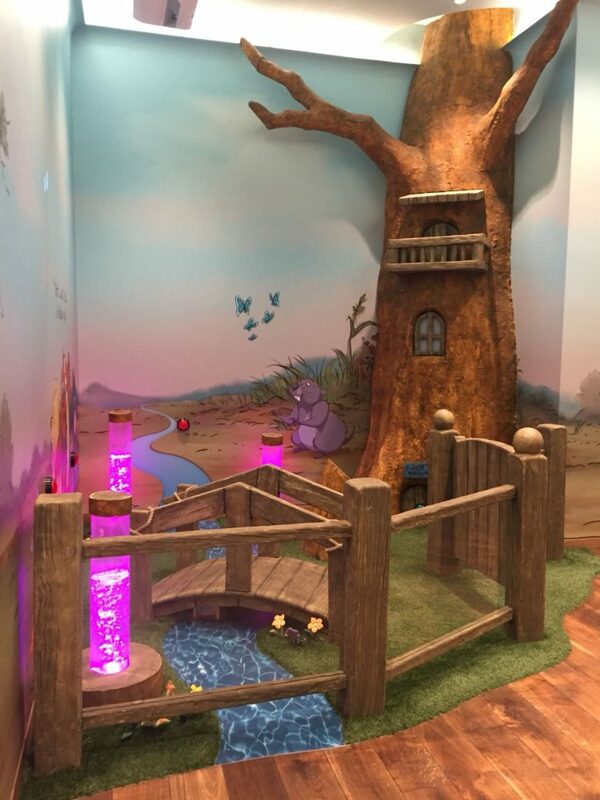 Westfield shopping centre: The brief was to create Winnie the pooh elements for the family rooms for Westfield shopping centre which had to be true to concept as possible, durable + impact resistant. All bespoke elements were hand decorated. The wooden effect items had to be splinter free, to look like authentic rustic timber yet not as heavy as real wood. We created various trees for each room, wooden effect log seats, ipad logs, pumpkins, rustic timber replica fencing, gate, frames, flowers. Discover story centre: This was a great project to work on. Each element had to be as close as possible from illustrations from Dr Seuss which isn’t always the easiest task however we loved the challenge and also client was very happy with the out-come. Discover story centre ignites the imagination which is captured within a book. 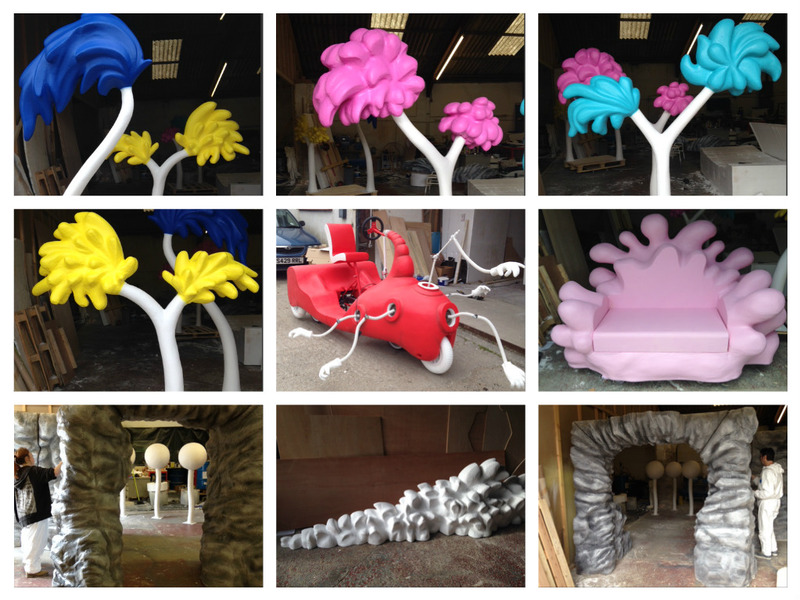 We created a cave like tunnel, Truffula trees, various colourful trees, a sofa and a dr Seuss themed car. All props are coated with FR polyurea which is both a water and impact resistant coating. 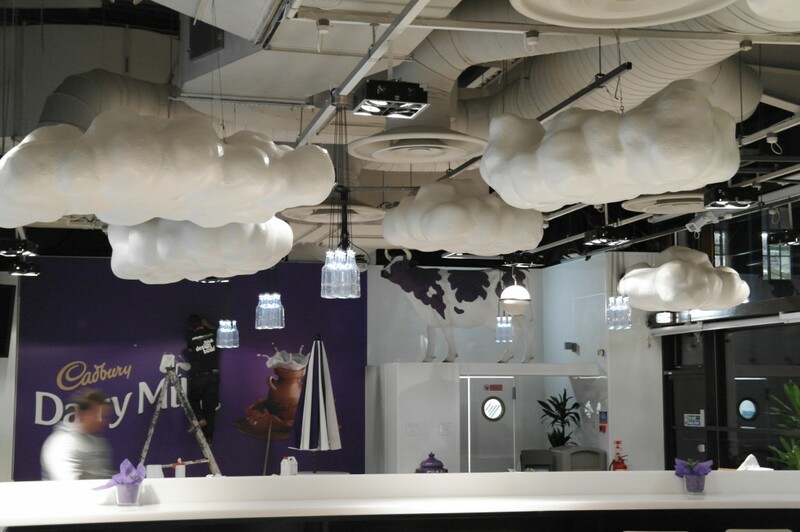 Cadbury world Café: We created white fluffy clouds and bespoke cladding for the Café’s make over. Each cloud had to be slightly different in shape in order to create a realistic effect. All clouds include an internal fixing system in order to either suspend or fix to the ceiling.